Leave the stainless steel kitchen sink behind and invest in a durable, beautiful stone kitchen sink. 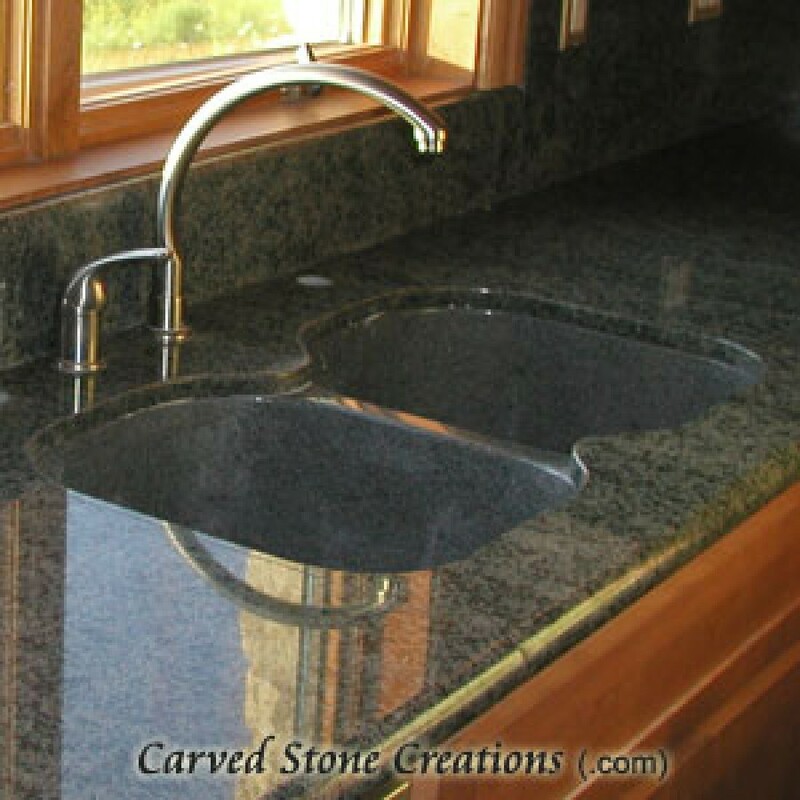 Adding a granite kitchen sink will add value to your entire home. We have sinks available in single- or double-basin styles in a variety of sizes, colors and designs. 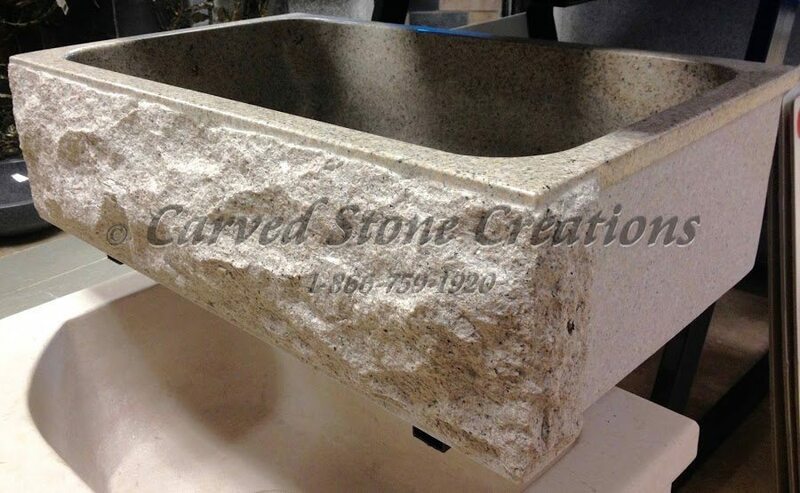 This single-basin sink is hand carved from a light colored granite. The rough, rock face front captures the natural beauty of the stone while the polished basin highlights the different flecks of color found throughout the stone. The large size of this sink will make it a focal point in your kitchen! Add a unique rustic look to your kitchen with this double-basin apron sink. The highly polished basins contrast with the rough hewn rock face front for a stunning design. The two basins make this sink functional and beautiful. If you are looking for a durable natural stone sink, but want it to blend in with your countertop, choose an undermount style sink. 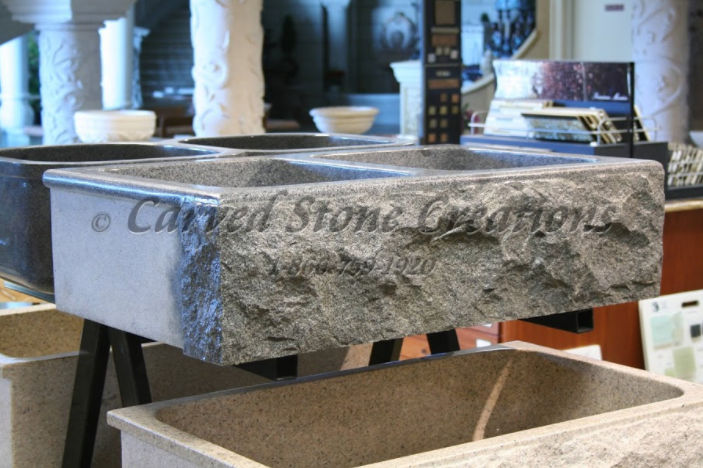 This polished two-basin sink is hand carved from charcoal gray granite, but we can carve this design in many types of stone to compliment your countertop. If you dont see the kitchen sink design you are dreaming of here, we can create a custom design for your home! Contact us to learn more.